As much as I love Disneyland, I understand where they’re coming from. On a bad day, trying to walk from one land to the next in the Magic Kingdom is just as aggravating as waiting in a two-hour line for a ride that’s over in 60 seconds. You shuffle through a dense maze of sheep-like hoards of people in silly hats and childish outfits that they should have outgrown thirty years ago. Finally a pocket of space opens and bam!–someone decides to freeze right in front of you, map in hand, confused look upon the face, neck craning to find friends, the restroom, a $6 chocolate-covered frozen banana, Belle, or the Tea Cups. Everyone is so engrossed in their own needs and Disney freakdom that they’re oblivious to everything else around them. It’s enough to make anyone feel like a grumpy dwarf about Disneyland. But traveling anywhere–including to Disneyland–means making smart plans, having a malleable mind that’s open to new perspectives, and allowing yourself to learn about a culture that might be completely different than what you’re accustomed to. Instead of being a hater, choose to think like a traveler, and you’ll have a completely different experience. Like travel to any popular destination, Disneyland has its high and low seasons and its peak days. The determined go whenever they can. The wise go on the least popular days. If you hate crowds, avoid them. If you have the option, skip spring break, summer, Christmas, and New Year’s. If you can’t avoid those periods, escape the midday crush by going early in the morning (Magic Morning early admission is also available for an additional cost) and returning late in the afternoon or early evening. If you split your visit over multiple days (see below), all the better. Disneyland can’t be done in a day. Not if you want to do it right, anyways. There’s so much to do, so many details to appreciate, so many churros to eat. Take the stress out of your (and your family’s) visit and break it up over a few days. Park-hopper and multiple-day passes are ideal if you have a compact amount of time. But if you can come back at different times throughout the year, splurge on an annual pass (Southern California, Deluxe, Premium). Focus your trips in a time-effective and fun way: do one land a day, do only the kiddie rides, just watch shows and parades, sit on a bench and people watch, or come just to visit with the characters. Disneyland is constantly changing in small and big ways, and if you take time to explore the park over multiple visits, you’ll better appreciate just how varied, entertaining, creative, and innovative this place really is. 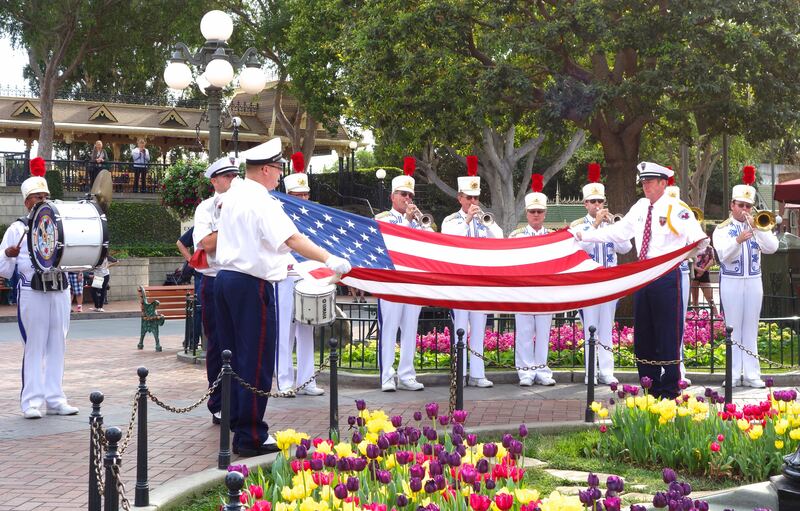 Every evening before sunset, a flag-lowering ceremony stirs the patriotic hearts of Disneyland visitors. Have your heart set on riding Space Mountain but it’s a 2.5-hour wait? Don’t get frustrated. Go to Innoventions instead–the interactive high-tech facility featuring gadgets of tomorrow. Then come back to SM when the line is shorter. You’ll use that precious time wisely and learn something new, too. You really wanted to go on Indiana Jones, but it’s broken…again…still? Oh, well! Go watch the moving and entertaining flag-lowering ceremony in Town Square. You’ll swell with patriotic pride instead of fester with ride rage. The park has a plethora of ways to keep you entertained, and if you can’t do the thing you really want to do right now, change your mind. Do it later or just do something else. You’ll never be at a loss for something to do. Lines are shorter for popular rides like Big Thunder Mountain when a parade is going on. I love a parade! Who doesn’t? But I’ll skip out on one if that means lines will be shorter for my favorite rides. Same thing goes for showstoppers like Fantasmic or the Fireworks Spectacular. While everyone else is oohing and ahhing at floats and pyrotechnics, you can be screaming eeeiiiiiiaaaahooo on Big Thunder Mountain. 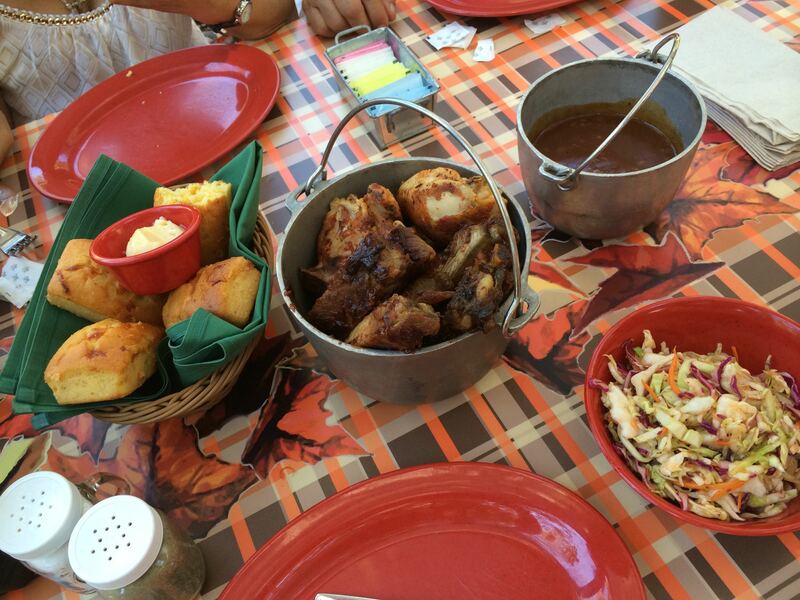 Making a reservation for dining options like Big Thunder Barbecue is smart and efficient. Whether with a large group, a few friends, or even visiting Disneyland solo (I’ve done that more times than I can remember), maximize your time and experiences by making choices that save time and energy. In groups, divide and conquer. One person can get FastPass tickets for everyone while the group walks to the next ride to stand in line. When getting food, if it makes more sense to have one person pay while someone saves a table, a spot on the parade route or at a show, or–dare I say it–your place in line for a ride, do it. And take time to plan ahead. You can book on-property restaurants (including those in Downtown Disney) like Blue Bayou, Big Thunder Barbecue, and Catal up to 60 days in advance. 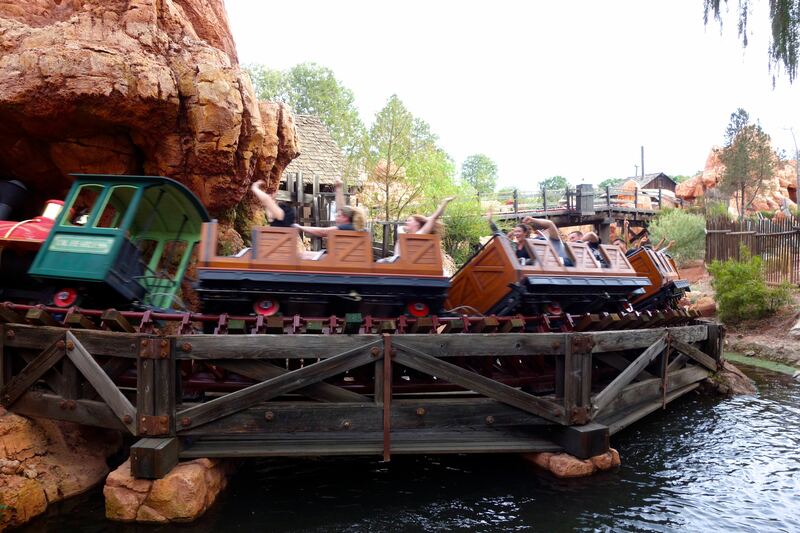 As a singleton, cut some of your in-queue wait time by taking advantage of Single Rider Passes for Matterhorn, Indiana Jones, and Splash Mountain. And this also works great for families where parents have to trade off watching the baby in the stroller or wait with kids too scared or too short to go on the “big rides”. 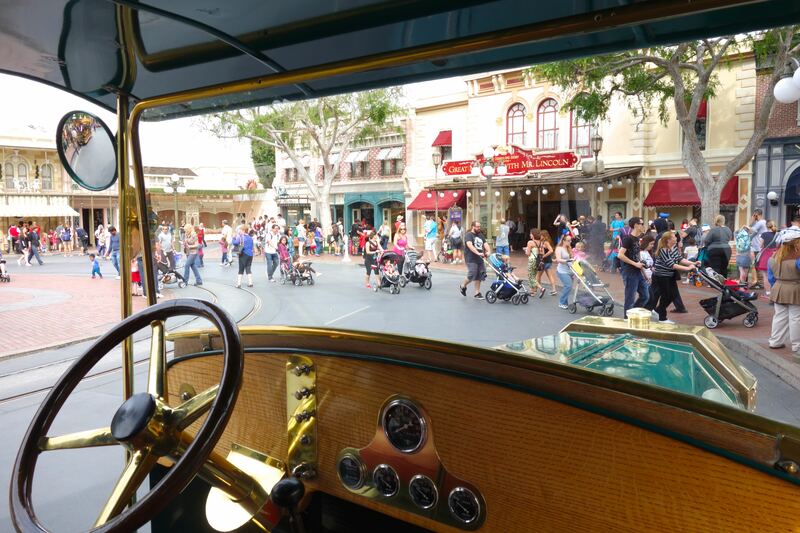 Riding the omnibus from Town Square to the Hub is relaxing and a fun way to see the park. And take advantage of in-park transportation, too. Hop on the omnibus, the train, or a turn-of-the-20th-century car. You’ll can rest your aching feet, see the park from a new perspective, and save yourself some precious time. No detail is spared in Disneyland, especially when it comes to the plant life that fills the park. Disneyland employs a talented team of horticulturalists to keep the park beautiful, fragrant, seasonal, and appropriately themed. Visit in the winter and you’ll find poinsettia strategically planted by color along with landscape designed to help you get in the Christmas spirit. Come back in the summer, and you might find fresh vegetables where the winter plants were. Walt Disney was extremely particular about how he wanted his crafted creation to look in order to enhance the guest experience in each land and within each attraction. Next time you’re there, stop and smell the roses, fan yourself with the palm leaves, rest under the dappled shaded of the melaleuca. And if you’re really into botany, let out your inner gardener and take the “Cultivating the Magic Tour”. You’ll not only learn about the plants of Disneyland, you’ll hear legendary Disney lore and get to cut the line on two classic rides. Why Don’t You Take a Picture? It’ll Last Longer. Taking a picture of this picture saved us $25. Not too shabby! Don’t get suckered into buying random souvenirs that you’ll never use. Just put on that bizarre hat and strike a pose. Take a picture with the balloon vendor and pretend like you’re both in the movie Up. 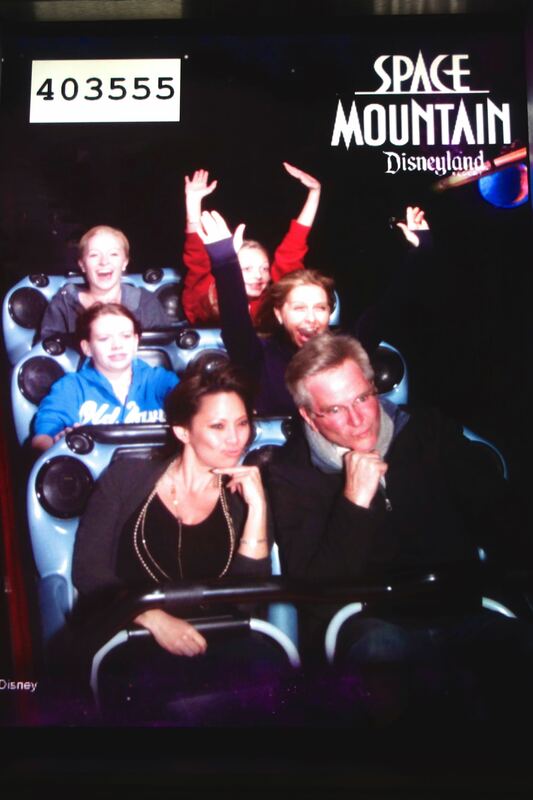 Instead of shelling out $25, take a picture of the picture from that crazy ride. Take a video of you versus your friends in an epic battle of bedazzled, light-up princess wands and Jedi light sabers. Those toys would just gather dust at home or end up in the trash, but those photos and videos make entertaining and long-lasting memories…especially once you post them on social media. I don’t mean in those penny-squishing souvenir machines. I mean, be wise about spending your hard-earned dough. 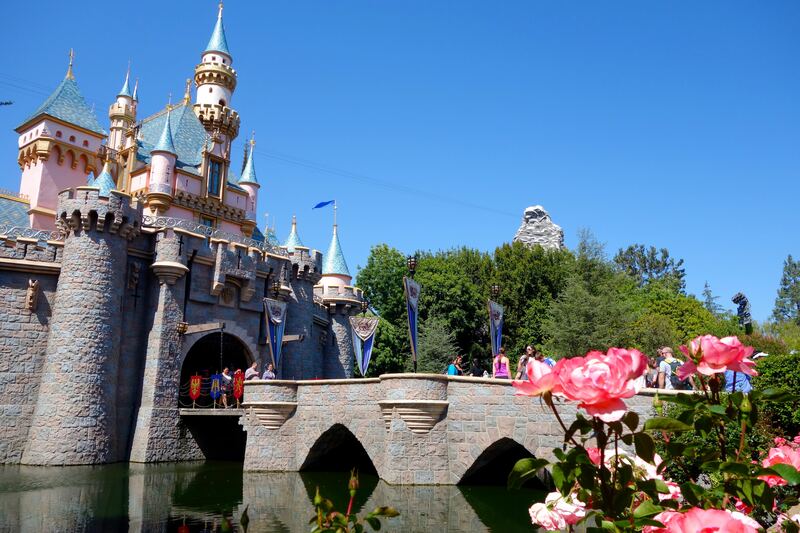 Disneyland is not a cheap vacation, especially for a family, but it can be much less expensive than you think. Split a hearty meal, or better yet, bring in your own snacks to ward off hunger pangs throughout the day. Instead of paying triple what you would outside the park for a bottle of water, use the water fountains to fill up your own bottle. And remember that discounts are available to annual passholders for food, merchandise, and activities. 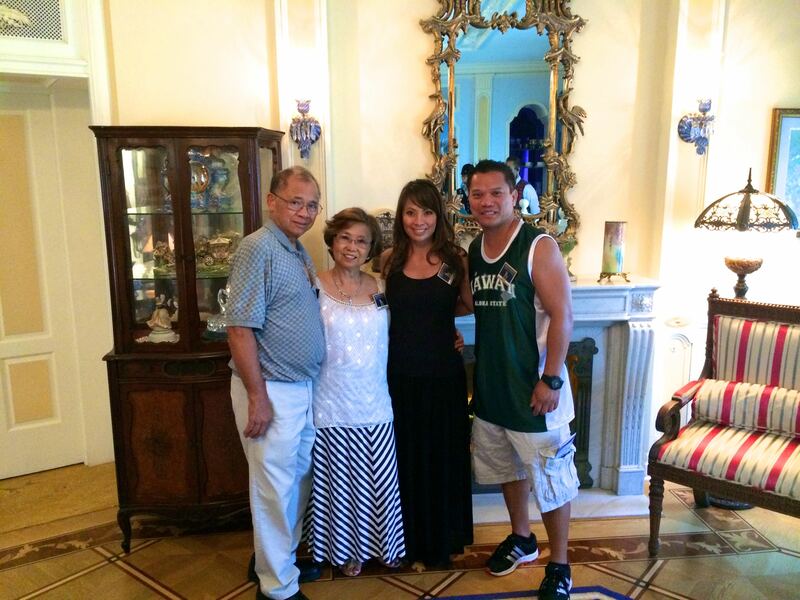 By taking a tour, my parents, Jerry, and I got an exclusive look at the Disneyland Dream Suite. Being budget-conscious is smart, but don’t let that prevent you from having extraordinary experiences. When my parents, my friend Jerry, and I recently took the “Walk in Walt’s Disneyland Footsteps” tour, our expert guide made the life and history of Walt Disney and his famous park come to life with her heartfelt stories and with soundbites of Walt himself talking about his masterful creation. We actually cried at the end of the tour. Taking the tour also granted us access to venues normally inaccessible to mere mortals (in our case, the Dream Suite in New Orleans Square), line-cutting privileges on two classic rides, and a hearty post-tour lunch. For us, it was a whole new way of experiencing this place that we love so much–one that gave us a deeper connection and broader understanding of what this park meant to its creator and what it has come to mean for its legions of fans. It’s easy to be quick to judge when it comes to Disney Freaks, but what if you just went with it? What if you allowed yourself to get giddy when Donald Duck waddled by and waved at you? What if you went on a treasure hunt for all the “hidden Mickeys” in the park? What’s the worst that could happen if you went around wearing a Princess Jasmine t-shirt or a Captain Hook hat? What if just for a moment, you let yourself get swept up in the all the magical, whimsical, fanciful, unbelievable things that make Disneyland, Disneyland? And what if you stopped to realize that the “freaks” that already do that are having the time of their lives in the Happiest Place on Earth? Rick lets his Disney Freak Flag fly! Walt Disney wanted Disneyland to be “a happy place…where parents and children can have fun together.” I think he not only achieved his goal but surpassed it. 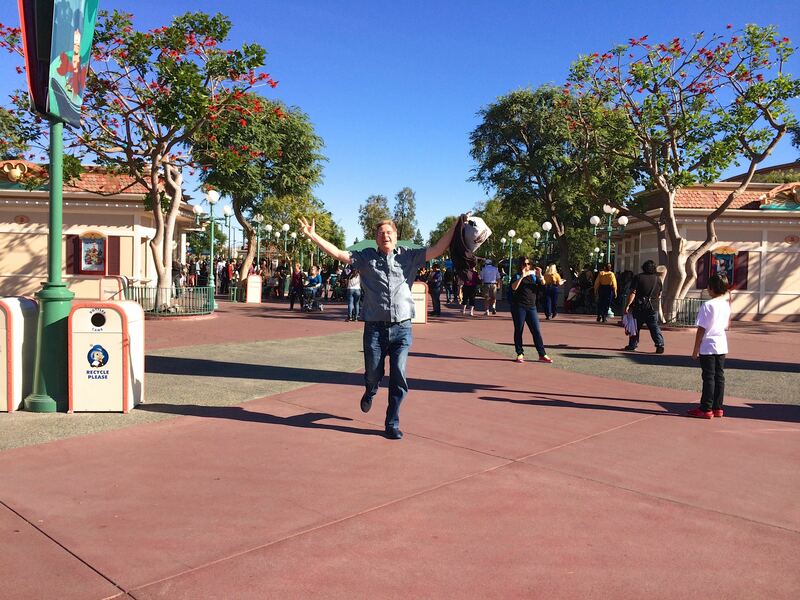 Disneyland is where anyone can be a kid again. It’s where everyone–no matter their age–can be silly, adventurous, sentimental, thrilled, inquisitive, fantastical, brave, loving, and, above all, happy…even the haters. Disney rocks! Take advantage of all of the information that is available and plan, Plan, PLAN! Love your photos! I am with you on this–absolutely! I can see why some are Disney haters…but I always embrace the Disney spirit even though the experience may not always be perfect! I had been to Disneyland, DWorld and Disney cruise numerous times, I always go home happy 🙂 Wish you all the best in 2015!